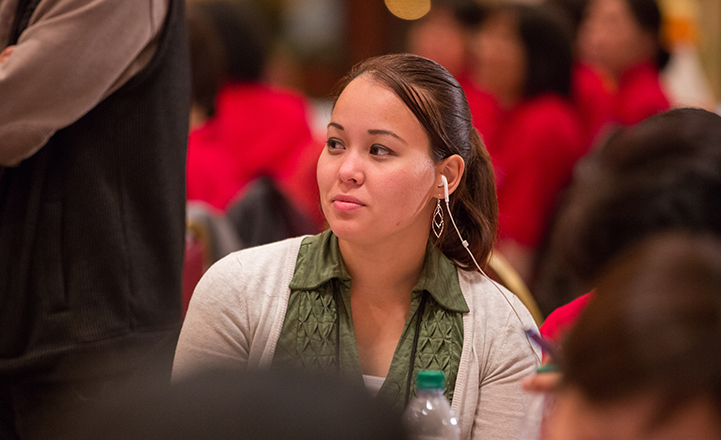 By FFWPU USA: Kodan held its annual National Leadership Conference at East Garden from October 16-18, 2015. During the conference, 85 Unificationists of all ages experienced an assortment of sessions aimed at sharing the love of True Parents, making new resolutions toward Vision 2020, and inspiring a fresh start in all participants. This year, Kodan made a special effort to invite young Unificationists to the conference, and 12 attended. At the opening banquet, Dr. Ki Hoon Kim, Continental Chair of the Family Federation for World Peace and Unification (FFWPU) North America shared a message about the heart and leadership of True Mother. He also powerfully expressed the importance of the role of women in God’s providence and of Tribal Messiahship activities. Dr. Michael Balcomb, President of FFWPU USA, sent in an encouraging video message as he could not attend the conference in person. In it he mentioned historical events this month in history including True Father’s liberation from the Heungnam Labor Camp and the 6,000-Couple Holy Marriage Blessing. These were landmarks in a life of dedication and sacrifice, which True Mother is continuing today. Mr. Michael McDevitt and Mrs. Takae Shimizu, staff members at East Garden, gave testimonies of their time with True Parents for over 40 years. These stories were much appreciated by the young Unificationists present who did not have the chance to see True Parents directly or build a connection with them. The conference also included a Holy Ground tour at East Garden, where True Parents spent much time for over 40 years since the 1970s. The Holy Ground on site is where True Parents often prayed for God’s providence in America and the world. Informative sessions were held during the conference to promote skill-building, share best practices and introduce participants to the work of Kodan. Rev. Hiroshi Inose, Director of Kodan, shared an introductory presentation, sharing the background and history of Kodan. 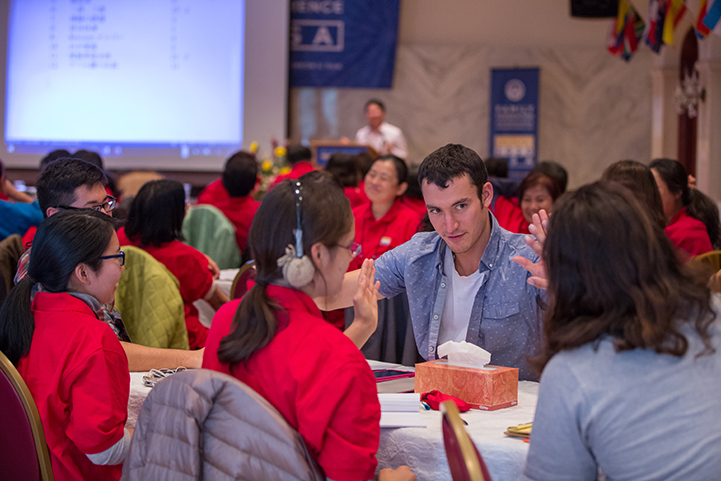 Naokimi Ushiroda, President of the Collegiate Association for the Research of Principles (CARP) USA held a mission statement, goal-setting and action planning session. These methods reflected those shared at the recent Global Top Gun workshop in Korea and the FFWPU USA National Leadership Conference in Las Vegas. The key intention for this session was for each participant to gain an ownership mentality for building Cheon Il Guk (God’s kingdom) and advancing God’s providence. “Naokimi’s step-by-step guidance helped me make some necessary goals,” shared Jeng Mi Takeda from Massachusetts. Another session was a field report given by Mrs. Naoko Hiraki, Ms. Takayo Hiraki and Ms. Karen Tsuchihara who have had great results recently in campus outreach efforts in Los Angeles. Through their local Kodan chapter, these three women revamped outreach efforts. Their stories were a testament to the power of determination and perseverance. 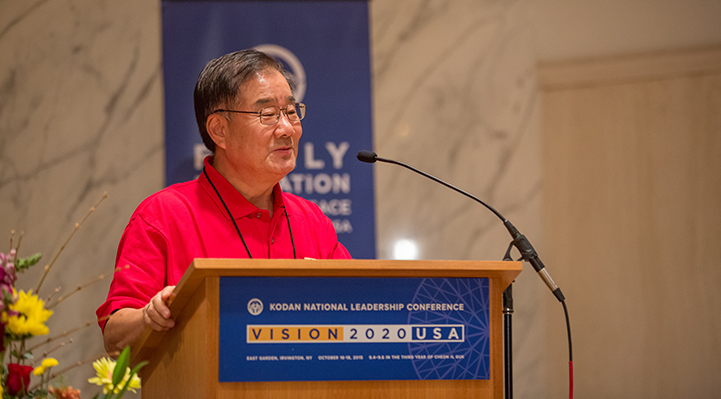 “This conference was a humble beginning for a young Unificationist and Kodan partnership,” explained Takayoshi Sugawara, “but I’m confident that such a relationship will and must grow, and contribute to a healthier and stronger American Unification movement.